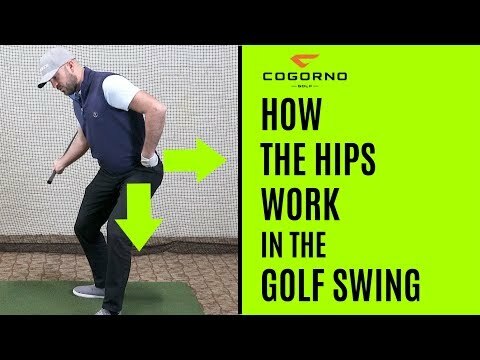 You are currently watching a video about how to feel a load when turning your hips in the golf swing with one simple tip, this tip will help you get a real sense of activation of the hips and help you recreate this feeling time and time again. 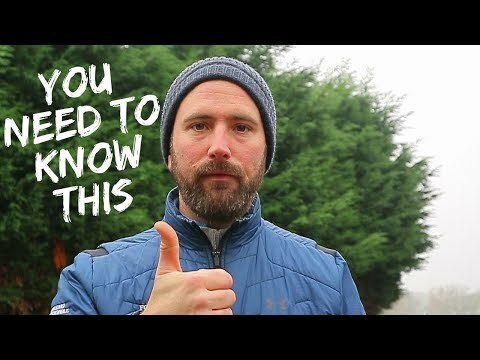 I love that you've basically said that its ok to feel the lead leg kind of "unweighted" (and thus a fair bit of weight/pressure remains on the trail leg) for that fraction of a second as the lead knee and lead hip start to turn target-ward in transition/early downswing before settling more weight/pressure onto it. I think Bradley Hughes teaches this also (first move in transition/downswing is a feeling of the weight/pressure down through the TRAIL leg). I've always believed (learned as a kid) to push off the trail leg hard and fast….and now I can't get out of the habit of that move leading to a lower body slide target-ward coupled with an upper body hang back, severe secondary axis tilt, big reverse-C, a push or flip-hook shot and a sore right lower back. So thanks Russell for all the info you're giving us and keep up the good work. Might even see you in England one day….unless you come to Sydney first!! Can you do some more videos with driver. I've been able to create good load with my Irons after watching your videos but I'm not quite getting the same feelings with my driver. 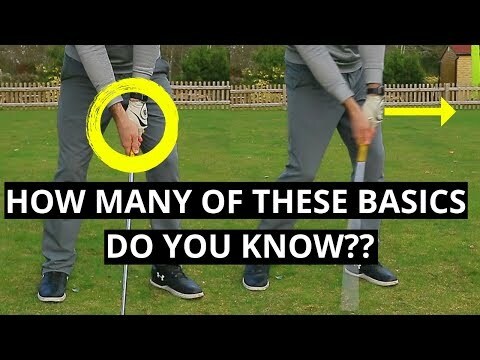 It would be great to have some driver specific drills I can practice thanks! Thanks for the excellent explanation. I appreciate the quick response to my previous questions about weight shift and torsion. 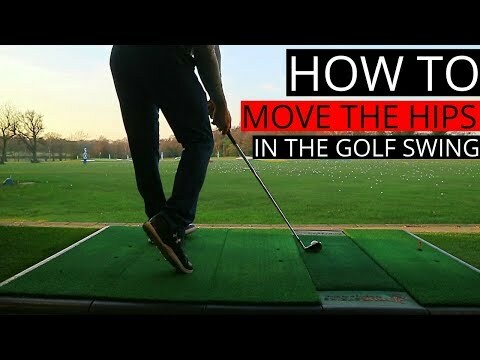 This is so me I'm struggling with not shifting weight properly in the backswing so can't release the hips properly getting a ball flight starting striaght and going right. Great explanations Russell. I have been working on trying to feel a distinct weight shift to the left at the top (or before the top) of the baqckswing. I see in this video a move which integrates the weightshift with the opening of the left hip? Russ I think any one that isn't getting this is doing the drills to fast, at the range I do 5 swings as slow as I can then hit a ball . Now I can feel the hips working , I also push the hips forward to get the wrong sensation I need to feel the rite/wrong way hope this helps ??? Bravo.! That's what I have been waiting for. IMO what we are striving for is an Oscillation in the Pelvis from applied pressure with the lead femur to trail femur. This drafts the trail hip inside and behind the lead hip. Once the club has transitioned we now can open a fast as we can balance. Russell's hips fly but they don't spin. He has it in spades and he is doing everything he can to convey what he knows.. Good stuff my friend..
You talk a lot about pressure in left and right heels, as an athlete you never want to be back on your heels. Most of the pressure in my feet are on the balls of my feet and toes. I guess my question would be should I be more planted (rooted) into the ground? The three major bones of the pelvic girdle are tightly connected but one can still pivot on the retracted R hip as you suggest for the downswing. However, if one retracts the R hip and while rotating the L hip in the downswing, one does not move the R hip forward as you are suggesting, one would wind up being further away from the ball than at address. Surely being connected as the bones are and not wanting to be further away from the ball, the R hip must move forward (rotate counter clockwise) during the downswing???? And all in 200ths of a second. Doddle. You’re great, a complete nutter, but great. Looking forward to the 6th. Can’t wait. I might even balance a bottle of water on my head just to spice it up a bit. Thanks.